Unlock professional gridlock for your members, employees or students. Jared presents tailored executive résumé writing, career planning, and LinkedIn strategy solutions to groups nationwide. Click to schedule an exploratory call for your organization. Small group / "Saturday Morning Coffee with Jared"
Choose from existing titles, or request a custom presentation to fit your institution's needs. This fast-paced presentation and Q&A session is exclusively for ambitious entry-level to mid-career professionals aiming for the top of their fields. Eye on the C-Suite draws on the collective work of Shauna C. Bryce of Bryce Legal in Annapolis and Jared Redick of The Résumé Studio in San Francisco. When the world’s top companies need to find key members of their executive teams, they frequently invest considerable resources to hire one of the world’s retained executive search firms. Unfortunately, many résumé writers, career counselors, and executives will never see inside the executive search process. For instance, did you know that a formal search often won’t include the expectation of an uninvited inbound résumé? The implications are vast. What happens when humanities MAs and PhDs consider a career alongside or outside of the Academy? 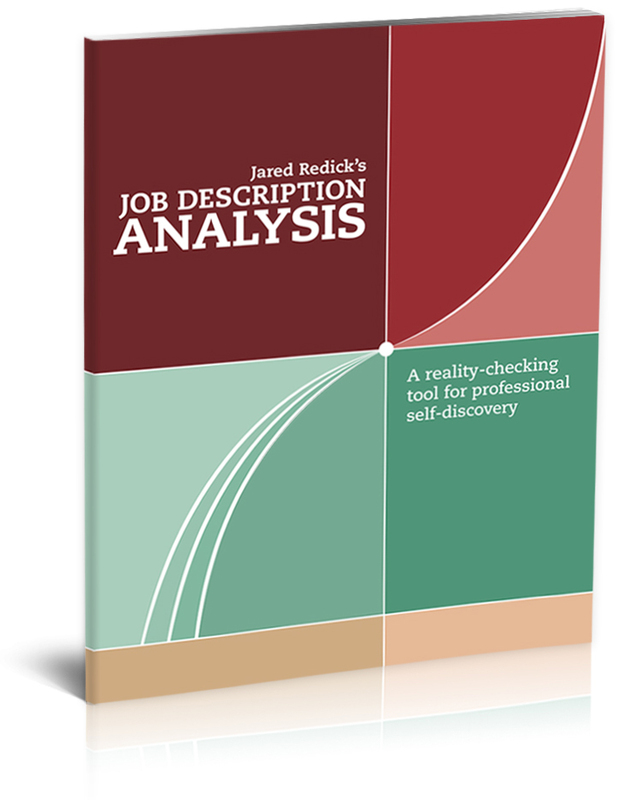 Learn how to analyze job descriptions, translate skills and experience, and truncate an academic body of work into a quantitative professional résumé that works outside or alongside the academy. Jared’s individual clients wrestle through a question-based process over weeks and months, so this workshop won’t solve the puzzle in three hours. But it will “shake the tree” and equip you with the introspective processes, concepts, and hands-on practice needed to re-imagine your life’s work in a way that resonates beyond the academy. Many LinkedIn profiles behave like online resumes. That may be the right choice for many. But what about the stealth job seeker? Or the executive who is happy and wants merely to be open to passive search? Jared Redick works with executives and senior professionals taking a long view on their careers. Part of that approach includes a LinkedIn profile that translates across a spectrum of profile readers, not just recruiters. Learn how he writes for clients who need a robust profile, but also need to mitigate speculation about their career intentions. It starts with thinking about LinkedIn® as a business tool. From the moment you setup a LinkedIn profile, you’re on a potentially very public stage. But do you know how to use it to your advantage? Do you know the strategies to propel you and the pitfalls to avoid? Six-hundred-million-plus global users agree: LinkedIn is the premiere place to hang your professional hat online and it’s much more than a static online résumé. LinkedIn is an invaluable tool for building your professional brand, but many professionals just are not using it to its fullest potential. Whether because of its public nature or myriad technical steps to creating a well-conceived and fully optimized LinkedIn profile, The Résumé Studio’s Jared Redick finds that many professionals are sitting with an unfinished shell of a LinkedIn presence. In this webinar, the first in a two-part series about maximizing your LinkedIn® presence, you will gain a perspective that goes beyond the technology and explores why and how to build a profile that is uniquely right for you. Jared Redick, an executive résumé and LinkedIn profile writer, shares and explains his checklist of actionable steps that will jump-start your process and help you re-imagine your profile across four main categories: being found, reaching out, building a reputation, and staying connected. For many professionals, your LinkedIn profile is the backbone of your professional presence online—making the summary section its heartbeat. A well-considered and well-written summary is essential to ensuring that your profile’s viewers have the right information on which to hinge their understanding of you. You want your summary to give viewers something from which to springboard into the rest of your profile and something to inspire them to engage with you and learn more. In the second installment of his two-part webinar series for CFA Institute, Jared Redick, a professional LinkedIn and executive résumé writer, takes you behind the scenes to show how he develops LinkedIn summary and experience copy that strikes the right tone for his professional and executive clients. Watch him reverse engineer several summaries, capturing and translating strategies you can use to better build your own LinkedIn summary and experience sections.